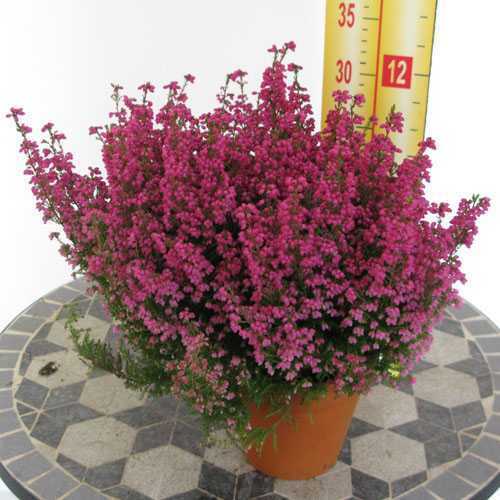 Erica Gracilis Dark Pink is a semi-hardy perennial shrub. 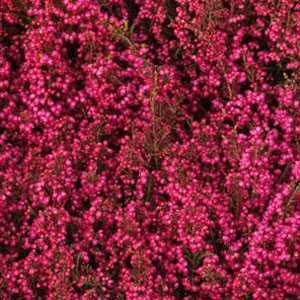 It has mid green needle like foliage and clusters of deep pink bell shaped flowers from autumn until early spring. 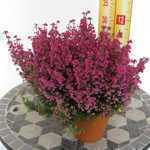 It is frost tender so is ideal in a protected position and can be used as an indoor houseplant.